Crossword puzzles are extremely entertaining. This good old-fashioned game attracted the U.S. back in 1913. Since then, the researchers are intensely working out to find the benefits of doing crossword puzzles. We really beg for the answer– Does playing Crosswords is really good for your brain? 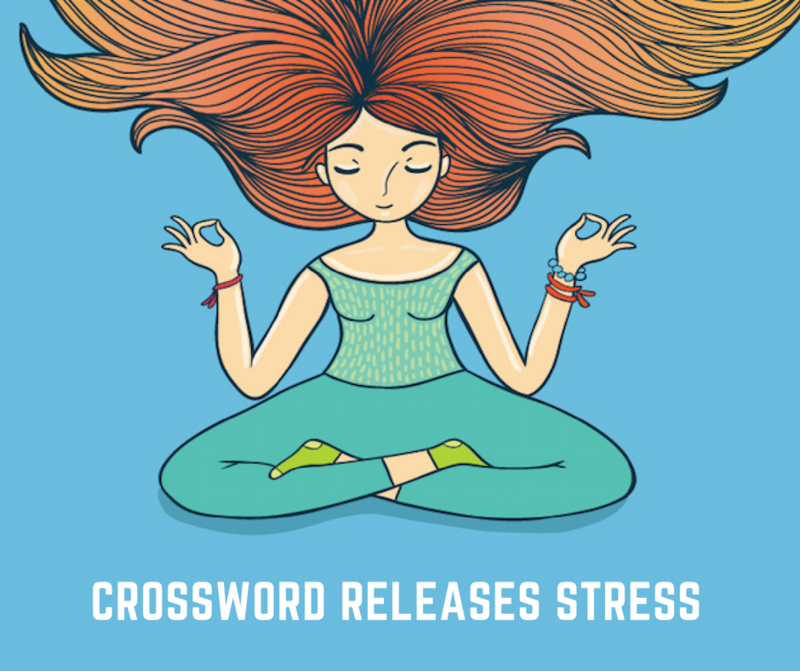 Crossword puzzles are more than just a pass time activity. Being a boredom buster they are actually beneficial to our mental and physical health. Surprisingly, these word search puzzles benefits your mind in such a way that you aren’t be aware of. So, let’s have a look what are crossword puzzles good for and how these portable entertaining black and white grids add value to your life. The foundation of any language is its Words. You can easily indentify someone’s education level, profession and social status just by the way he talks. It’s not difficult to learn any language or grasp its vocabulary. But what is required is using and practicing it. Most of the students lack here. When you communicate, you might struggle to recall the words, some might forget but it’s ok. No matter how many times you fumble use the appropriate words and complete your conversation. Forgetting is not a problem, ending up from where you begun is a problem. 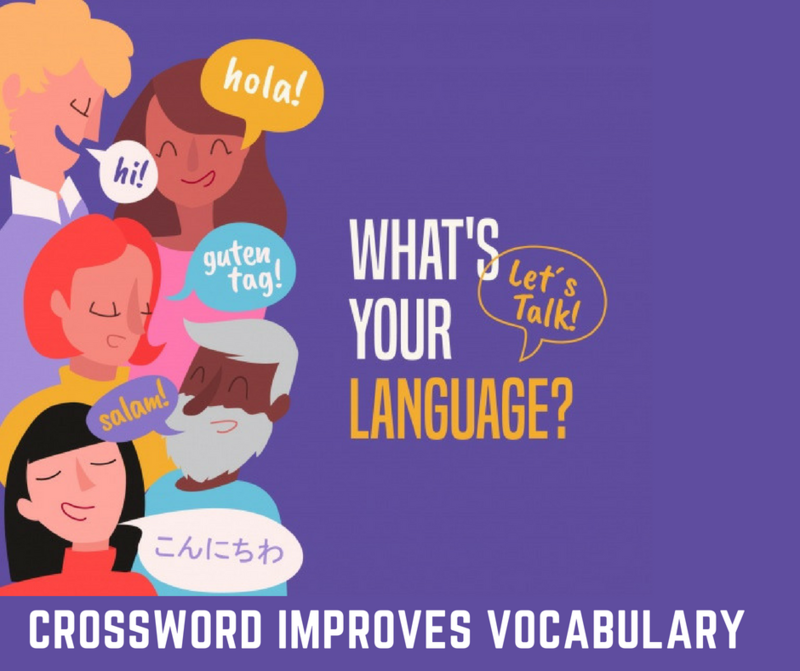 You might be thinking that how playing online crossword benefits your vocabulary? Solving crossword puzzles contributes to your vocabulary enhancement. Imagine you are solving a crossword puzzle. What you do? Read the clues and put the words together. This mental exercise is indirectly enhancing your verbal skills. It certainly would reflect in your communication skills too, right? Wondering why to expand your knowledge? Well, there are plenty of reasons. You’ll be able to communicate in a better way. People will understand you more easily. Moreover, learning new words is not a tedious task. It will groom your personality and you will be one step ahead of all. There is lot of perceptions that rich people don’t have stress, or people beyond the age group of 60 leads a stress-free time and so on, which is not true. Each one of us has different life styles, different choices and different demands. Many of us face financial issues and get stressed. Some might be dealing with medical challenges. Others might have everything but a sense of dissatisfaction which leads to a stressful life. With everything happening in our surrounding, there is a need to turn off the noise for a bit and relax. Playing Crossword puzzles is an apt way of doing so. It’s just like you are meditating. You have only one goal – to complete the puzzle! You avoid the world, quiet the noises and concentrate to solve the quest. This ultimately releases your stress. Whatever, you have in your mind is washed away and once you solve the word search puzzle right that feeling of accomplishment is beyond words. Each one of us plays crosswords when we have nothing to do. In short, it’s the best pass time activity. But have you ever played this game with bunch of your friends? Studies have shown that solving crossword puzzles in groups is highly beneficial to your brain functionality. While you solve a puzzle in group, your speed of thinking and talking enhances. This also strengthens the social bonds and manages disputes if any. So, next time when you stuck somewhere call a bunch of your favorite ones and start puzzling. People nowadays are quite busy in building their muscles. And indeed it’s a good thing. But how many of you focus on maintaining your mental health? Mental health refers to a person’s emotional, psychological and social well-being. It impacts how one thinks, feels and reactions under various circumstances. So, when we are free of depression, stress and anxiety, we are able to lead a happier life. 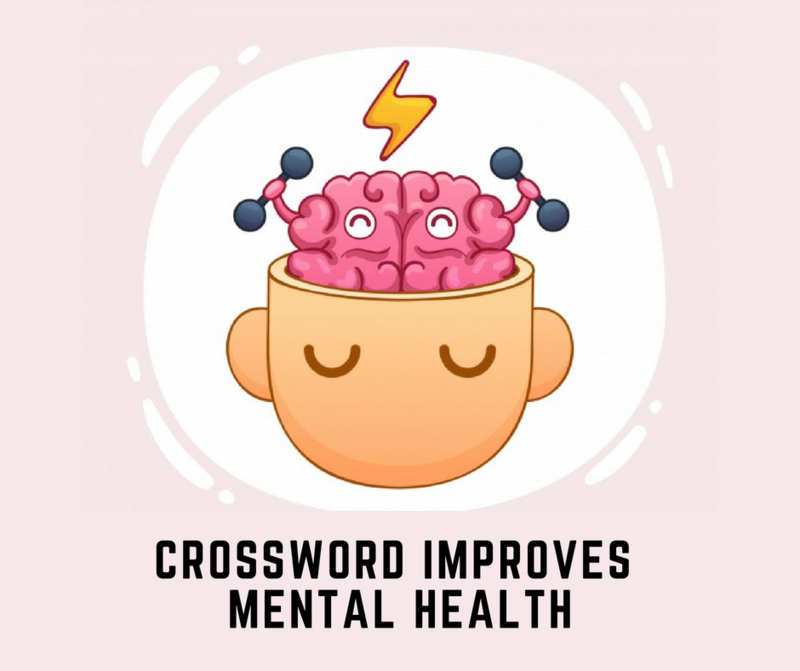 Now, coming to our main objective – How playing crosswords improve our mental health? Plenty of researchers have discovered the positive effects that crossword puzzles. When your brain keeps working on a continuous basis the cells are activated. One important factor of doing crosswords is the ability to think creatively. It’s a brain consuming activity. Involving yourself in such activity enhances your analytical and cognitive skills. Studies suggest that these brain teasers are actually helpful for people suffering from Dementia and Alzheimer. Dementia is a group of symptoms which reduces a person’s memory and other thinking skills. A person may suffer loss of behavioral abilities, affecting the activities in his routine life. Alzheimer’s is a type of dementia. This neurological disease causes problems with a person’s memory, thinking and behavior. Around 44 million people worldwide are living with these brain diseases. The majority of people diagnosed with Alzheimer’s disease are 65 or older. It has become a global health issue which needs to taken care of. Then how to prevent Dementia? It is said that learning second or third language helps in delaying the onset of these diseases. For some, it might be an interesting thing to do but others won’t find it captivating. There are lots of researches going on, but we must trust the logic. Indulging in any cognitive activity activates the cells of our brain. When you think, you are exercising your brain. When you solve crossword puzzles, you are memorizing things. This act of involving in brain tasks is really helpful to prevent yourselves from Dementia. Thus, people suffering from such diseases should indulge in brain activities. 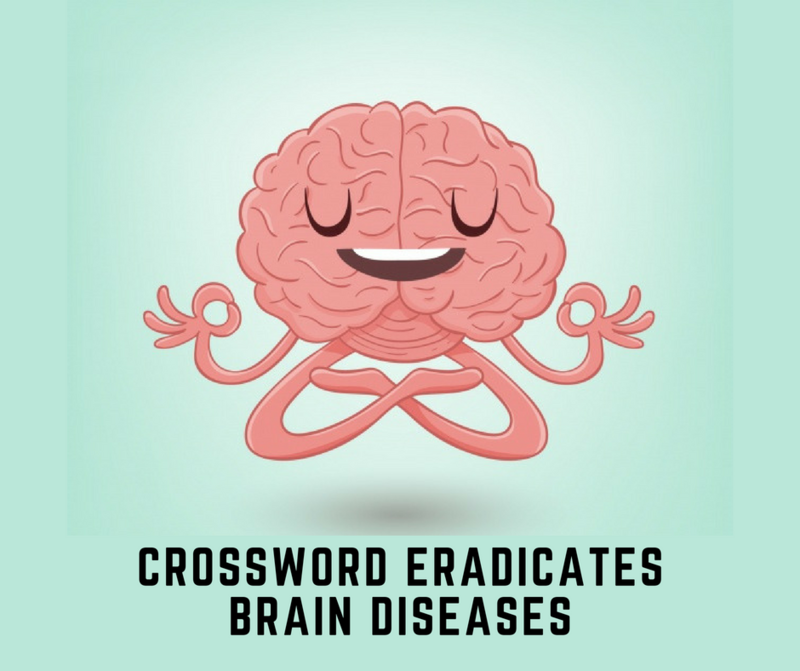 Brain games such as playing crossword puzzles, Sudoku, Chess etc. are suggested to help them fight these diseases. Now, the big question here is – where to play? 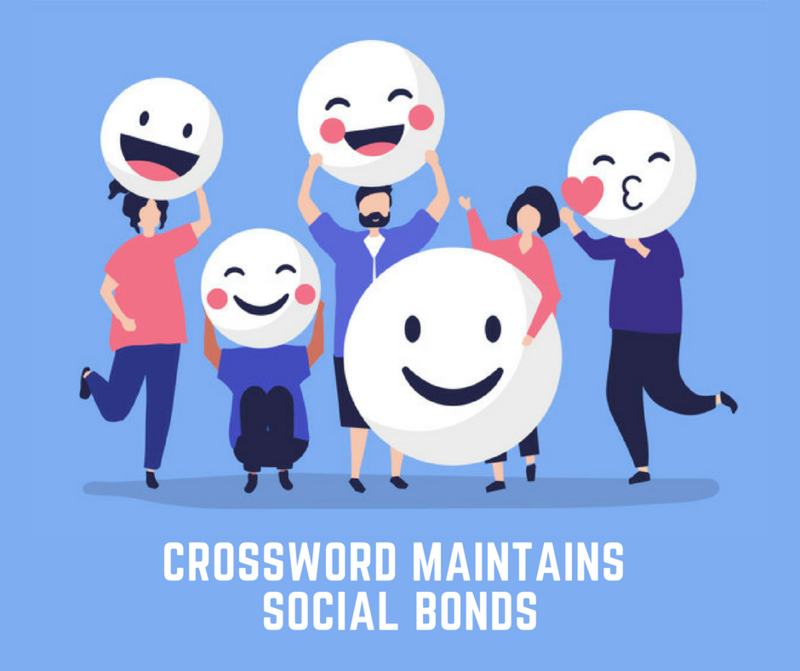 Welcome to Wealth Words crossword world! If you enjoy playing free crossword games, you are going to love our Daily Crossword Puzzles. Take your heads out of those newspapers and enjoy the daily challenges at our website. 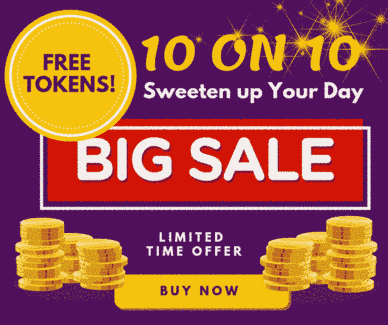 Just connect your laptop or mobile with an internet connection and start puzzling today! If you know any other crossword puzzle benefits that were missed in this article feel free to leave your comments. How to Become a Pro Crossword Solver?